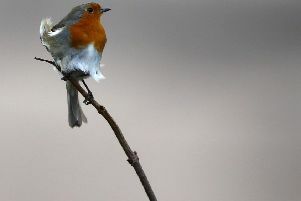 A track of pure birdsong is set to soar into the music charts in a bid to highlight how “nature is falling silent”. The RSPB is releasing the song as part of its Let Nature Sing campaign, which highlights the fact that there are 40 million fewer birds in the UK now than half a century ago, and to experience its healing qualities. Some of the most recognisable birdsongs that we used to enjoy, but that are on their way to disappearing forever, feature on the track, including the cuckoo, curlew, nightingale, crane and turtle dove who form part of the dawn chorus choir. All of the sounds are new recordings by RSPB birdsong expert Adrian Thomas, recorded on nature reserves and locations around the UK. Mr Harper added: “Children today are growing up with much less birdsong in the soundtrack to their lives. The single, which has been directed by award-winning singer and musician Sam Lee and produced by the Globe Theatre’s musical director Bill Barclay, is available for pre-order now, before a general release on April 26. Although the track is not designed to raise funds, any proceeds raised will go to help the charity’s 200 nature reserves around the UK.